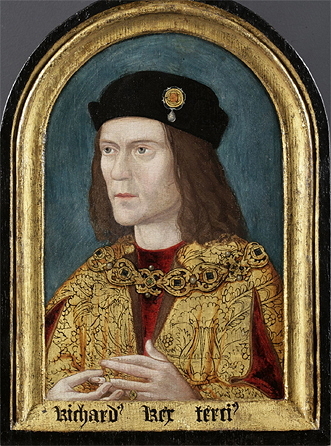 Richard III provides a focal point for critics in later film adaptations. The exact site of the battle is disputed because of the lack of conclusive data, and memorials have been erected at different locations. In 1974 the Bosworth Battlefield Heritage Centre was built on a site that has since been challenged by several scholars and historians. In October 2009 a team of researchers, who had performed geological surveys and archaeological digs in the area from 2003, suggested a location two miles (3.2 km) southwest of Ambion Hill. Tower of London and never seen in public again. Discontent with Richard's actions manifested itself in the summer after he took control of the country, as a conspiracy emerged to displace him from the throne. 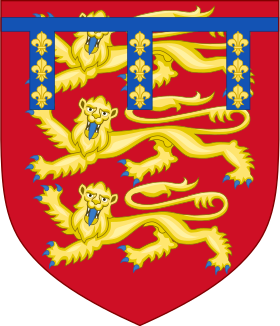 The rebels were mostly loyalists to Edward IV, who saw Richard as a usurper. Their plans were coordinated by a Lancastrian, Henry's mother Lady Margaret, who was promoting her son as a candidate for the throne. The highest-ranking conspirator was Buckingham. No chronicles tell of the duke's motive in joining the plot, although historian Charles Ross proposes that Buckingham was trying to distance himself from a king who was becoming increasingly unpopular with the people. 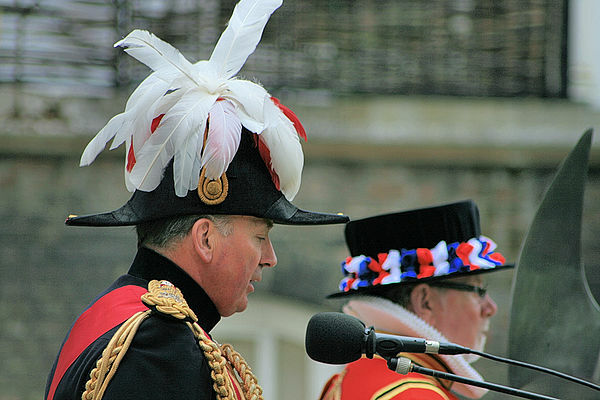 Michael Jones and Malcolm Underwood suggest that Margaret deceived Buckingham into thinking the rebels supported him to be king. Richard III (left) and Henry VII (right). Since 22 June 1485 Richard had been aware of Henry's impending invasion, and had ordered his lords to maintain a high level of readiness. News of Henry's landing reached Richard on 11 August, but it took three to four days for his messengers to notify his lords of their king's mobilisation. On 16 August, the Yorkist army started to gather; Norfolk set off for Leicester, the assembly point, that night. 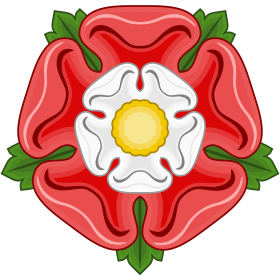 The city of York, a traditional stronghold of Richard's family, asked the king for instructions, and receiving a reply three days later sent 80 men to join the king. Simultaneously Northumberland, whose northern territory was the most distant from the capital, had gathered his men and ridden to Leicester. Although London was his goal, Henry did not move directly towards the city. After resting in Shrewsbury, his forces went eastwards and picked up Sir Gilbert Talbot and other English allies, including deserters from Richard's forces. Although its size had increased substantially since the landing, Henry's army was still substantially outnumbered by Richard's forces. Henry's pace through Staffordshire was slow, delaying the confrontation with Richard so that he could gather more recruits to his cause. Henry had been communicating on friendly terms with the Stanleys for some time before setting foot in England, and the Stanleys had mobilised their forces on hearing of Henry's landing. They ranged themselves ahead of Henry's march through the English countryside, meeting twice in secret with Henry as he moved through Staffordshire. At the second of these, at Atherstone in Warwickshire, they conferred "in what sort to arraign battle with King Richard, whom they heard to be not far off". On 21 August, the Stanleys were making camp on the slopes of a hill north of Dadlington, while Henry encamped his army at White Moors to the northwest of their camp. Ambion Hill to engage Henry's forces on the plain. The Stanleys stood at the south, observing the situation. Margaret of Anjou died in 1482, but Shakespeare had her speak to Richard's mother before the battle to foreshadow Richard's fate and fulfill the prophecy she had given in Henry VI. Shakespeare exaggerated the cause of Richard's restless night before the battle, imagining it as a haunting by the ghosts of those whom the king had murdered, including Buckingham. Richard is portrayed as suffering a pang of conscience, but as he speaks he regains his confidence and asserts that he will be evil, if such needed to retain his crown. The fight between the two armies is simulated by rowdy noises made off-stage (alarums or alarms) while actors walk on-stage, deliver their lines, and exit. 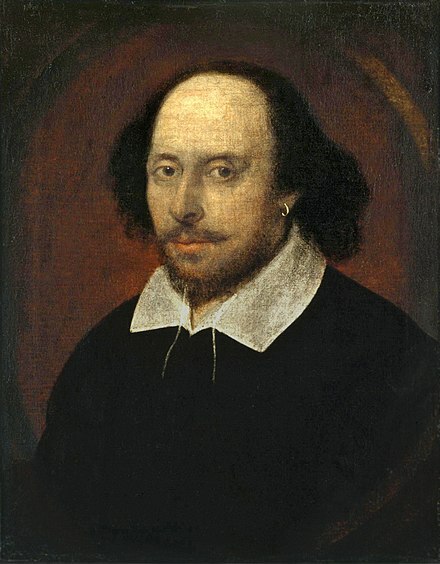 To build anticipation for the duel, Shakespeare requests more alarums after Richard's councillor, William Catesby, announces that the king is "[enacting] more wonders than a man". Richard punctuates his entrance with the classic line, "A horse, a horse! My kingdom for a horse!" He refuses to withdraw, continuing to seek to slay Henry's doubles until he has killed his nemesis. There is no documentary evidence that Henry had five decoys at Bosworth Field; the idea was Shakespeare's invention. He drew inspiration from Henry IV's use of them at the Battle of Shrewsbury (1403) to amplify the perception of Richard's courage on the battlefield. Similarly, the single combat between Henry and Richard is Shakespeare's creation. The True Tragedy of Richard III, by an unknown playwright, earlier than Shakespeare's, has no signs of staging such an encounter: its stage directions give no hint of visible combat. Ambion Hill on the north side of the River Sence. Hutton, as Foss suggests, misinterpreted a passage from his source, Raphael Holinshed's 1577 Chronicle. Holinshed wrote, "King Richard pitched his field on a hill called Anne Beame, refreshed his soldiers and took his rest." Foss believes that Hutton mistook "field" to mean "field of battle", thus creating the idea that the fight took place on Anne Beame (Ambion) Hill. To "[pitch] his field", as Foss clarifies, was a period expression for setting up a camp. Ashby Canal carved through the land west and south-west of Ambion Hill. Winding alongside the canal at a distance, the Ashby and Nuneaton Joint Railway crossed the area on an embankment. The changes to the landscape were so extensive that when Hutton revisited the region in 1807 after an earlier 1788 visit, he could not readily find his way around. "Near this spot, on August 22nd 1485, at the age of 32, King Richard III fell fighting gallantly in defence of his realm & his crown against the usurper Henry Tudor. The Cairn was erected by Dr. Samuel Parr in 1813 to mark the well from which the king is said to have drunk during the battle. It is maintained by the Fellowship of the White Boar." Dadlington is the only structure in the area that is reliably associated with the Battle of Bosworth; the bodies of those killed in the battle were buried there. Rediscovered battlefield and possible battle scenario The very extensive survey carried out (2005–2009) by the Battlefields Trust headed by Glenn Foard led eventually to the discovery of the real location of the core battlefield. This lies about a kilometer further west than the location suggested by Peter Foss. It is in what was at the time of the battle an area of marginal land at the meeting of several township boundaries. There was a cluster of field names suggesting the presence of marshland and heath. Thirty four lead round shot were discovered as a result of systematic metal detecting (more than the total found previously on all other C15th European battlefields), as well as other significant finds, including a small silver gilt badge depicting a boar. Experts believe that the boar badge could indicate the actual site of Richard III's death, since this high-status badge depicting his personal emblem, was probably worn by a member of his close retinue. A new interpretation of the battle now integrates the historic accounts with the battlefield finds and landscape history. The new site lies either side of the Fenn Lanes Roman road, close to Fenn Lane Farm and is some three kilometers to the southwest of Ambion Hill. England have re-defined the boundaries of the registered Bosworth Battlefield to incorporate the newly identified site. There are hopes that public access to the site may be possible in the future. Richard III and the Bosworth Campaign, (Barnsley, Pen and Sword, 2013) p.64 ^ "Archived copy" (PDF). Archived from the original (PDF) on 18 August 2016. Retrieved 4 August 2016. England as Scotland. Edinburgh: Scottish History Society. Mitchell, Rosemary (2000). Picturing the Past: English History in Text and Image, 1830–1870. Oxford: Oxford University Press. ISBN 0-19-820844-8. Morgan, Philip (2000). 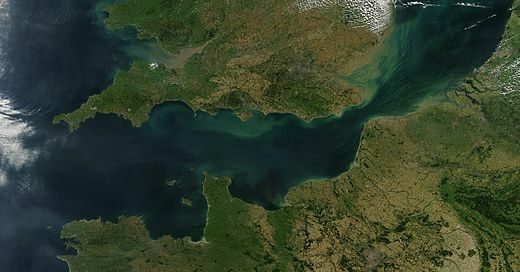 "The Naming of Battlefields in the Middle Ages". In Dunn, Diana. War and Society in Medieval and Early Modern Britain. Liverpool: Liverpool University Press. ISBN 0-85323-885-5. Pugh, Thomas (1992). "Henry VII and the English Nobility". In Bernard, George. 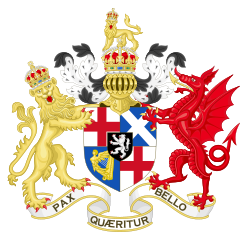 The Tudor Nobility. Manchester: Manchester University Press. ISBN 0-7190-3625-9. Ross, Charles (1997) . Edward IV. Yale English Monarchs (revised ed.). New Haven, Connecticut; and London: Yale University Press. ISBN 0-300-07372-0. Ross, Charles (1999) . Richard III. Yale English Monarchs. New Haven, Connecticut; and London: Yale University Press. ISBN 0-300-07979-6. Rowse, Alfred (1998) . Bosworth Field and the Wars of the Roses. Hertfordshire, United Kingdom: Wordsworth Military Library. ISBN 1-85326-691-4. Saccio, Peter (2000) . Shakespeare's English Kings: History, Chronicle, and Drama. Oxford: Oxford University Press. ISBN 0-19-512319-0. Skidmore, Chris (2013). Bosworth: The Birth of the Tudors. London: Phoenix / Orion Books. ISBN 978-0-7538-2894-6. Leicestershire Archaeological and Historical Society (Vol LX-5). Foard, Glenn (May–June 2010). 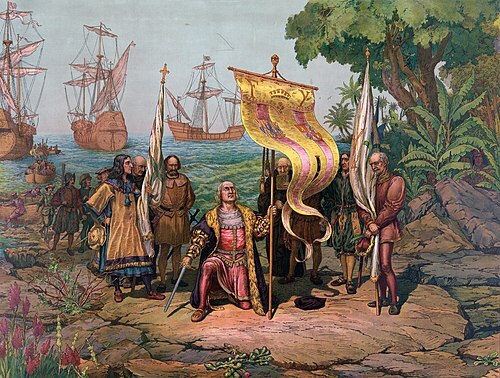 "Discovering Bosworth". British Archaeology. York, United Kingdom: Council for British Archaeology (112). ISSN 1357-4442. Williamson, Tom (November 2008). "Foreword" (PDF). The Prospect. Norfolk, United Kingdom: University of East Anglia: Landscape Group (8). Archived from the original (PDF) on 21 January 2012. English Heritage Battlefield Report: Bosworth Field 1471" (PDF). Swindon, United Kingdom: English Heritage. 1995. Retrieved 15 November 2010. "The Bosworth Campaign". UK Battlefields Resource Centre. United Kingdom: Battlefields Trust. 2004. Retrieved 20 March 2009.